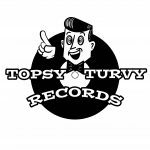 Under our brand new sublabel Topsy-Turvy Records, we will release vinyl LPs, 7″es, CDs etc. whose musicstyles/sounds are not typical for Soundflat Records, but sound so great that we definitely have to do a release! But be assured, we would never release stuff we are not 100% behind. 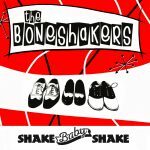 So under our sublabel Topsy-Turvy Records you will find upcoming releases of great Rockabilly, Punk, Alternative and true independent music!